Your grandfather dies and you cry out to God “why now?” The circumstances you find yourself in seem unnecessarily tough. Meeting the right guy or girl never seems to happen though you feel so ready. This week was one disaster after another. Someone who’s been through so much gets even yet more bad news. 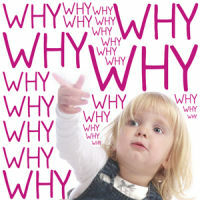 Do you ever feel guilty for asking God “why?” Don’t. You aren’t the first –and you may not be sinning. “Why, Lord, do you stand far off? Esther 4:14 also contains this powerful example of looking at the “why” of God’s work: “And who knows but that you have come to your royal position for such a time as this?" The prophets give us example after example as well. Just imagine Ezekiel’s question of “why” as God explained to Ezekiel that he was to be a watchman to a people who were hard, rebellious, and unlikely to listen to him. He asked Ezekiel to perform strange rituals as warnings –acts that often caused Ezekiel to live despised. What a futile task, it would seem! To disobey God, your intentions or actions contradict His Word, work, or person. You can ask why humbly, faithfully, and as a plea toward the perfect Lord. You can also ask Him why with the implication that He has done wrong –which is blasphemy. Likewise, you can have doubt, you can struggle with unbelief, without sinning. Watch, however, that you do not act on doubt. To say, “because I don’t understand it, I won’t do it, Lord” negates faith. “Because I can’t grasp how you can be good and do this, I won’t go along with it” is rebellion and requires the pride of assuming you know better than He does. Sin is sneaky like that. Satan clouds and distorts the truth to trick us –that’s more effective in many cases than outright lying. The “bent” truth here? …And ask away. Cry out like David. Consider His answer like Esther. Testify to His revealing of the “why” as Joseph did. Pray for Him to help your unbelief. The Lord does not condemn us for acting like His children. Yes. It actually can be a sign of faith that we even ask why. It means we are trusting that God is in control of things and we are turning to him for answers. Thanks for the encouragement here to not feel guilty about asking why! Amen, Lisa! Yes, it can be -and sometimes He does answer! : ) Blessings! Hi Summer! I hear you -I pray you can not question His sovereignty but can question why things happen from the place of safely in His Will! Nice to meet you, too! Crystal -so much so! No little child doesn't have questions, and asking is a big part of development and relationship. Just love that truth. Thank you for hosting and sharing as well -praying for you and the book writing! Hi Bethany, sometimes asking why, helps us understand what we need to do. We may be doing somethings without God's consent and may be things don't turn out the way it should. Asking why may help us clarify where we have fallen. Totally true! Great point Ifeoma, thank you! Blessings!